If you're starting an exercise program, one of the first things you'll want to do is set up your cardio workouts. 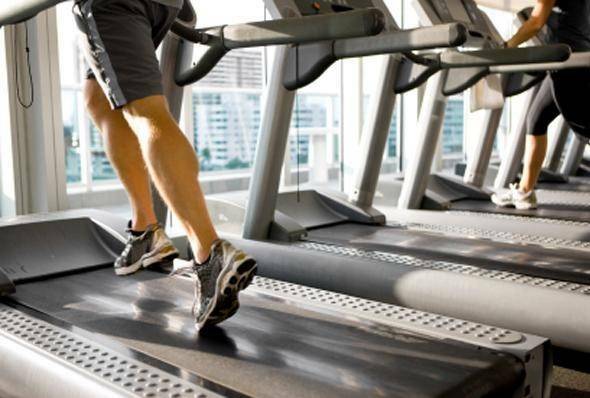 You need cardio, not just for losing weight, but for improving your overall quality of life. It makes you healthy, boosts your mood and gives you more energy. Make sure you like what you're doing - Any exercise is going to feel hard when you get started, so make sure you choose something you're comfortable with. You don't have to love it right now, but you do want something accessible and something you feel confident you can master. Focus on creating an exercise habit - It's less important what you do, how long you do it or how hard you work. What's most important is showing up for your scheduled workouts. Believe it or not, most people have more success when they stop focusing on weight loss and focus more on how to start exercising and staying committed to it. Choose a cardio activity - As I mentioned above, make sure it's something you actually like or, if like is too strong of a word, at least feel comfortable doing. This can be anything that involves some kind of continuous, rhythmic movement that gets your heart rate up. Sports - basketball, handball, tennis, etc. Hate cardio? Anything that gets you moving can count: Walking around your house, dancing in your basement, strolling the mall, etc. 3. Figure out how much time you'll exercise - Again, this is based on how much time you actually have (not how much time you think you should have) and what you can handle. One reason we fail to stick to exercise is that we don't work with our schedules as they actually are. If you really only have 10 minutes a day, then that's what you use for your workouts. 4. Schedule your workouts - Put them in your calendar just as you would any appointment. Treat it like something you would never miss - A doctor's appointment, a massage, etc. 5. Prepare beforehand - Your workout time doesn't start with the actual workout, but well beforehand. You should have everything you need - Clothes, shoes, water, snack, heart rate monitor, MP3 player, etc. ready and waiting before your workout. If it's not, you'll have one more reason to skip your workout. 6. Learn how to monitor your intensity - Strive to work at a moderate intensity, in the low-middle end of your target heart rate zone. Don't worry too much about working hard during the first few weeks, but do try to work at a level that feels like actual exercise. 7. Start where you are - If you can't do 30 minutes, do 5 or 10 or whatever you can do and progress by adding a few minutes to each workout until you can go continuously for 30 minutes.